On May 18th, 2018 the University of New York in Prague celebrated its 20th anniversary at the Prague Congress Center, Zoom. The event was a culmination of 20 years of excellence in education and success as institution that celebrated UNYP alumni and students alike. 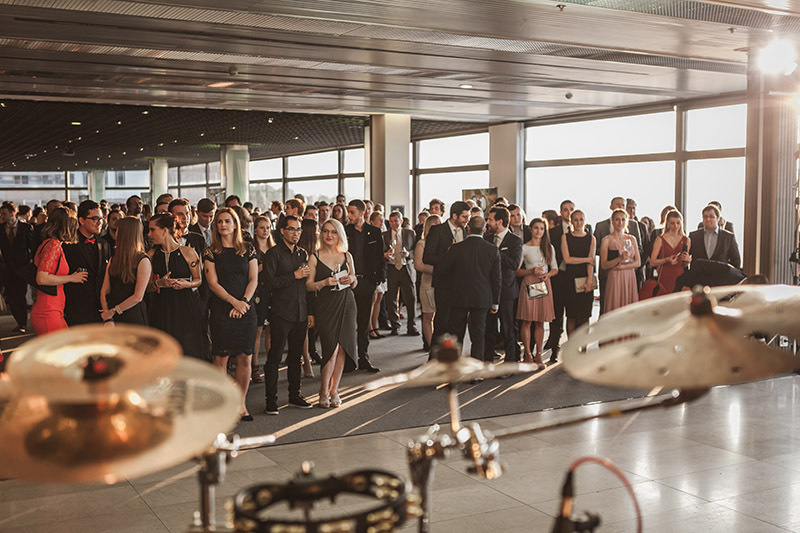 The event was attended by nearly 600 guests including students, alumni, many honored guests from partner institutions, ambassadors and diplomats from around the world and Czech ministry officials. The event was hosted by one of their newest students, Martin Carev, who will be joining the University in the coming fall semester and is most widely known for his Youtube channel “Jmenuju Se Martin” (in English, “My Name is Martin”) with more than a half million subscribers. Also, performing at the event was the two time Anděl Award winner Debbi and light and fire performers, Pyroterra – both Debbi’s band and Pyroterra included past and current students of UNYP! The event was not only a milestone in itself for the University, but also several key events took place including the announcement of the first UNYP Alumni of the Year, which was awarded to Class of 2007 alum, Tomáš Kubica. The tradition will be carried on each year at the annual Alumni Party where the nominees will be celebrated and the winner announced. Also, a huge surprise at the event was the 102.000, CZK cheque awarded to UNYP’s lecturer and three time alum, Martin Pavliček for his goddaughter who is suffering from a spinal birth deformation. The entire sum was raised from the ticket sales of the event from our students, alumni and faculty members and 100% of the money raised was donated to this very worthy cause. This is quite an evening, but in fact, it did not end there… Also, the prizes for UNYP’s Anniversary Social Media Contest were also given out to the lucky winners which included a holiday package from Pantour, a gym membership to FitInn, gift voucher to OPUS Restaurant, a new Huawei P20 Pro and the grand prize from the event partners at MINI – a lease on a new MINI John Cooper Works!!! UNYP spared no expense letting its students and alumni know how special they are and wanted to really show them that the lifelong connections made at UNYP and network they will gain as our alumni will be as valuable if not more valuable as the top level education they receive.